Very lustrous, perfectly cut, unique color, unheated, "icy" blue, Burmese Mogok sapphire. Bad picture of this unique, no heat (unheated), Burmese fancy sapphire, weighting 1.71 cts., light "icy" blue color, masterly executed in an antique cushion, mixed cut shape, and measuring 6.94 x 5.82 x 4.57mm, eye flawless, VVS2 in clarity, from the famous Mogok Tract, upper Burma. Well, what can I say about this sapphire? Definitely very unique because of the cool, icy blue hue, with a shape truly well done, and overall blessed with life and exciting luster. And hailing from a very important location. Exotic no heat sapphire from Burma. 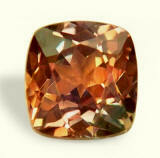 Excitingly brilliant, marvelously cut for large appearance, unheated, Madagascan champagne sapphire. What a brilliant sapphire. This unheated, fancy sapphire weights 1.36 cts., medium tone, champagne color, marvelously cut in a round, Portuguese cut (also known as flower cut), with very large appearance for its carat weight, and measuring 6.95mm in diameter x 3.83mm deep, eye flawless, VS1 in clarity, from the gem fields of Ilakaka, South Western Madagascar. A lot of sapphire for very little money. Simply consider that a 7mm round is usually a 2+ cts. stone. 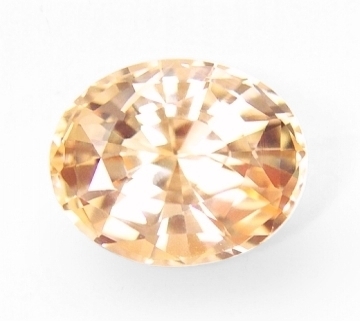 Super brilliant, well cut and eye flawless, perhaps slightly brownish in daylight, but shifting to a beautiful orangish-pinkish yellow in incandescent light. A bargain this one. For early birds. 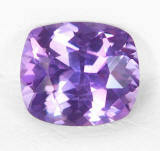 Exotic & lovely, perfectly cut & flawless, unheated, Ceylon purplish pink sapphire. Rare color. 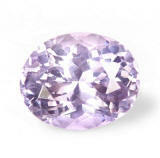 Charmingly brilliant, very well cut, unheated, color change, Ceylon lavender to violet-pink sapphire. Well priced. 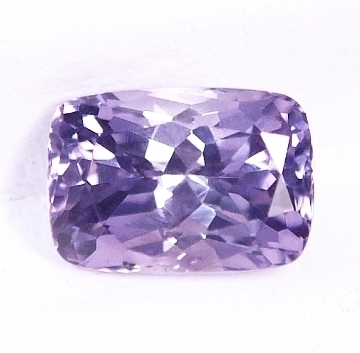 A most awesome & sparkling, unheated, Ceylon fancy weighting 1.14 cts., medium, vivid, lavender color in daylight changing to violetish-pink in incandescent light, masterly executed, rounded oval, "flower" cut, and measuring 5.85x5.5x4.11mm, eye flawless, VVS1 from the gem fields of Balangoda, Sri Lanka. Do not hesitate on this very sparkling, well cut, and super clean color change sapphire. And completely unheated as well. Destined to appreciate as time goes by. Good price on this. Candy-like, lustrous, perfectly cut & clean, exotic, unheated, Ceylon "fancy" sapphire. Very low price. I love this one. 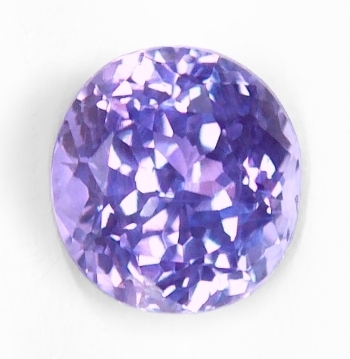 This unheated, Ceylon "fancy" sapphire with a color change, weights 0.77 cts., medium, vivid, violet color in daylight, changing to medium-dark, violetish-pink color in incandescent light, simply perfectly executed, "antique" cushion, mixed cut, and measuring 5.7x5.0x3.22mm, eye flawless, VVS1 from the gem fields of Nivitigala, Sri Lanka. We have been asked how we keep track of all the sapphires mined in the different mining localities in Sri Lanka. We do. And not only that, we make sure the rough is mined by government licensed co-operatives, known locally for model not-invasive & eco-friendly mining. This one is simply a gorgeous product of such effort. 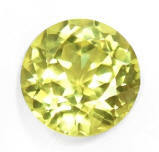 Brightly unique, very charming, unheated, Ceylon yellow lime-green sapphire. Effulgent! Candy-like, almost edible, superb color, unheated, Ceylon pink sapphire. Superb color, no heat sapphire. 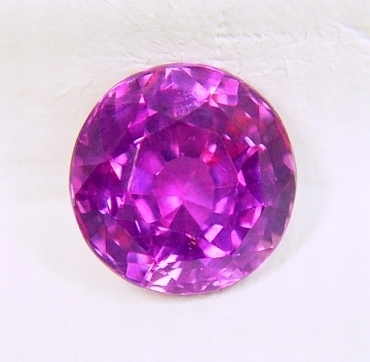 This unheated, Ceylon "fancy" sapphire weights 1.00 cts., medium, vivid, hot hot purplish-pink color, masterly executed, oval "flower" cut, and measuring 6.36x5.32x3.61mm, eye flawless, VVS2 from unknown locale, Sri Lanka. A popping, completely natural, unheated colored sapphire that is perfectly cut and displays a gorgeous eye appeal. Seeing it for believing it. Very beautiful. 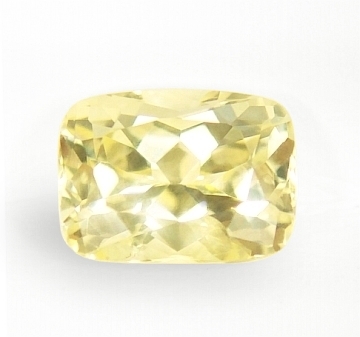 Sparkling and well cut, definitely charming, unheated, greenish-yellow, Burmese sapphire. Real nice. 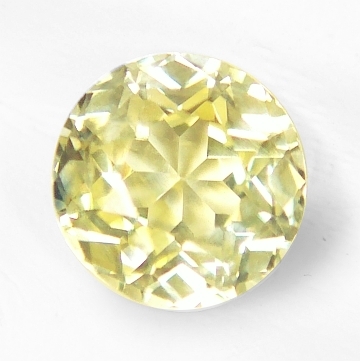 A super crisp, no heat Burmese "fancy" sapphire of a pastel, greenish-yellowish color, this one weighting 1.35 cts., superbly executed, round, "star" cut, and measuring 6.35-6.25mm in diameter by 4.05mm deep, eye flawless , IF-VVS1 from the gem fields of Mogok, Upper Burma. An extremely brilliant, very well cut, completely unheated, "fancy" sapphire from an historical location. "Fancy" colored sapphires from Burma are characterized by a general fine clarity, (with no traces of silk) that give them a diamond-like, scintillating & crisp light. Here is a perfect example of delightful eye appeal at a very low price. 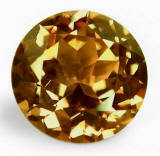 One-of-a-kind, no heat, bi-color, yellowish-brown & green, color change, Madagascar fancy sapphire. And if you like the unusual color in a rare earthy tone, this is a sapphire for you. An unheated, bi-color, "fancy" sapphire hailing from an unknown mine in Southern Madagascar, weighting 1.34 cts., medium, intense, brownish-yellowish-orangish with two dark green areas at the opposite corners, perfectly executed, "antique square cushion, and measuring 6.17 x 5.83 x 3.94mm, eye flawless, VVS1 from Madagascar. In daylight the color stays a bit on the brownish side, with the two green areas distinct, then in incandescent light, it shifts/change to a more coppery color throughout. Definitely for a very special person. 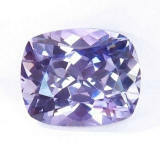 Absolutely charming, very well cut, unheated, color change, Ceylon "fancy" sapphire. Sparkling! Magnificent, hypnotic color, ideal round cut, Ceylon hot purplish-pink sapphire. Mesmerizing! Well, for sure this Ceylon "fancy" sapphire will absolutely captivate you!. 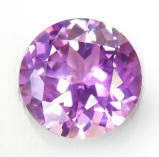 It weights 1.59 cts., hot, medium-dark, very saturated, vivid purplish-pink color (simply gorgeous! ), excellent, round, mixed cut, measuring 6.5x6.25x4.58mm, eye clean, VS type2 from the gem fields of Ratnapura, Sri Lanka. If you are looking for an amazing gem, with hot vivid and superb color, well cut classic round shape and clean clarity, this sapphire surely will not disappoint you. It has been gently, low heated. This ancient and original method (even recorded by Marco Polo in 12th century AD) is still in use in the Ratnapura area and consist of puffing a blowpipe to a charcoal fire. Gorgeous gem! 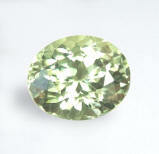 Sparkling, perfectly cut, very rare, unheated, Madagascar, green sapphire. Truly lovely! A very cute, unheated, "fancy" sapphire weighting 1.01 cts., pastel, light green color, perfectly executed, oval, "flower" cut, measuring 6.28x5.3x3.85mm, eye flawless, VS type2 from Madagascar. Alongside with Sri Lanka and Burma, Madagascar is the other major producer of many sapphires that do not require any heat treatment. It is an island nation in the Indian ocean, off the southeastern coast of Africa. The rough of this one was imported by Sri Lankan traders, and then cut in Ratnapura. As usual, the most beautiful "flower" cut, brings out tons of scintillation and liveliness. At this price, do not hesitate. In few years from now, this quality will appreciate tenfold in value. 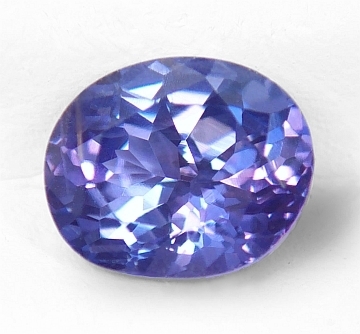 Amiable, perfectly cut, unheated, Ceylon, color change "fancy" sapphire. Great buy. A very exotic, unheated, color change, Ceylon "fancy" sapphire, weighting 1.26 cts., medium, violet-platinum color in daylight, changing to platinum-pinkish color in incandescent light, masterly executed, "rectangular, "cushion", flower cut, and measuring 6.74x4.72x4mm, eye flawless, VVS1 from the gem fields of Pelmadulla, Sri Lanka. 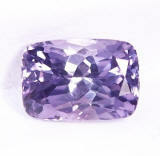 Completely natural, with no treatments of any sort account for a mere 2-3% of all the sapphires available on the market. Unheated sapphires are natural & not tampered, possessing the color that mother earth formed in them, and they always appreciate in price. 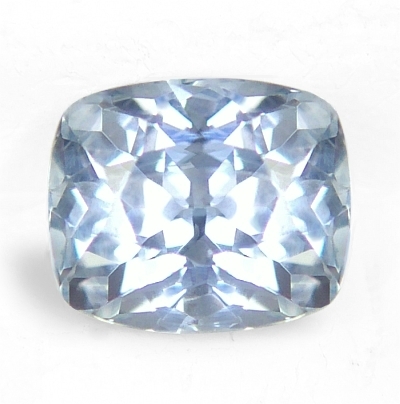 Get a natural, unheated sapphire at the right price with us...a no brainer indeed. Very brilliant, exotic, rare, unheated, Ceylon orange sapphire. Great size...great deal. A very rare color for an unheated sapphires, this Ceylon gem weights 1.67 cts., pastel (light tone) pure, orange color, very well executed, oval, mixed cut, measures 7.5x6.5x4.29mm, superbly eye flawless, VS1 from the gem fields of Ratnapura, Sri Lanka. Yes, a pure pastel orange color displaying a staggering brilliance and luster. The size is also great and at this very, very low price, the deal is certainly on. Unheated and untreated as mother nature created it. Do not have this one slip away, because we will certainly raise the price...Do not get fooled even from companies overseas and pay 5 times more for lower qualities. 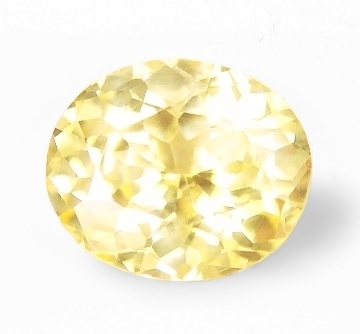 Tranquil & solar, very bright, unheated, Ceylon yellow sapphire. Perfect cut. A most perfect, unheated, Ceylon yellow sapphire, this one weighting 1.21 cts., pastel, pure yellow color, perfectly executed, oval, "flower" cut, measuring 7.2x6.05x3.56mm, eye flawless gem, IF-VVS1 form the gem fields of Elahera, Sri Lanka. What a brilliant sapphire. Not the strongest lemon yellow color displayed, but the perfection of the cutting translates in a very lustrous gem. No heat treatment whatsoever, this material is becoming increasingly hard to get nowadays. If you like luster and vibrant brilliance, simply make it yours. 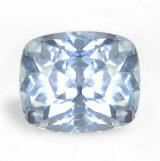 Charming & exotic, unheated, color change, Ceylon "fancy" sapphire. Very low price. When we say "welcome to the finest collection of unheated, "fancy" sapphire from around the world" at the lowest wholesale/dealer price, this is what it is. This unheated, Ceylon "fancy" , color change sapphire weights 1.34 cts., medium, vivid, violet-blue in daylight changing to medium-dark, pinkish-violet in incandescent light, masterly executed, oval, "flower' cut, and measuring 7.08x5.86x3.9mm, eye flawless, VVS1 from the gem fields of Ratnapura, Sri Lanka. And all of our, unheated Ceylon sapphires are collected by a mining cooperative that ensure that only eco-friendly and low-impact, not mechanized mining methods are employed. 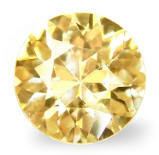 Diamond-like luster, masterly cut, clean, unheated, Ceylon yellow sapphire. A pure gem. Simply a delightful, unheated, Ceylon yellow sapphire, weighting 1.27 cts., pastel, "straw" yellow color, masterly executed, rectangular, cushion, mixed cut, measuring 6.55x5x4.03mm, eye flawless, VVS type2 from the gem fields of Ratnapura, Sri Lanka. Beautiful in its essence and purity, a pure Sri Lankan unheated yellow with a sophisticated cut. Very sparkling, this will mount splendid in any way. 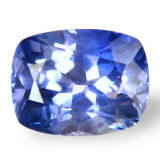 Brilliant, definitely amiable, unheated, color change, Ceylon fancy sapphire. Delightful, unheated, Ceylon fancy sapphire, weighting 1.24 cts., pastel, bluish-lavender in daylight changing to steely pink in incandescent light, masterly executed, oval "flower" cut, and measuring 6.52 x 5.30 x 4.31mm, eye flawless, IF-VVS1 from the gem fields of Pelmadulla, Sri Lanka. Sapphire prices are skyrocketing, and more so completely untreated material, which is the most sought after and pricey. It is estimated that a completely unheated sapphire will price from 50% to 100% more versus a heated sapphire of the same quality. Unheated sapphires are much more vibrant, beautiful and destined to appreciate in value. A no brainer choice. Exotic with unique hue, unheated, Ceylon color change, bluish-violet sapphire. What a great deal. This unique, definitely exotic, unheated, Ceylon "fancy" sapphire weights 2.06 cts., medium, bluish-violet color in daylight, changing to medium "lavender" with pink flashes in incandescent light, well executed, "antique" cushion, mixed cut, and measuring 7.88 x 6.14 x 4.29mm, completely eye clean, VS1 in clarity, from the gem fields of Nivitigala, cut & polished in Ratnapura, Sri Lanka. A lot of sapphire for very little money. Lustrous & well cut, you can add it to your existing collection or set it, even in a calibrated 8x6mm setting. Unheated & untreated as mother nature created it millions of years ago. Rare. Unique & earthy, perfectly cut, unheated, color change bronze to copper color, Madagascar sapphire. If you are looking for an unique, modern & compelling color, this unheated "fancy" sapphire from Madagascar is a great choice. It weights 1.30 cts., medium, intense, "greenish-bronze" color in daylight, changing to "copper", reddish color in incandescent light, perfectly & masterly executed, round "star" cut, measuring 6.6mm in diameter by 3.74mm deep, eye flawless, VVS1 from Ilakaka, southern interior, Madagascar. 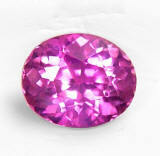 Today, Madagascar is a major producer of sapphires, but mainly famous for an abundance of pink hues. This completely natural & unheated color change is pretty unique in its hue, and definitely for that somebody that likes the unusual. Very beautiful gem.